We love providing top-quality service and storage units tailored to the needs of each individual customer. Got too much to store? Don’t panic, we have the right space for your RV, Boat, or Recreational Vehicle. Get access to your storage unit from 8am to 6pm 7 days a week and in a secure and comfortable environment. Secure outdoor storage areas for commercial and personal vehicles, RVs, mobile homes, boats and large items. Don't rent more space then you need. 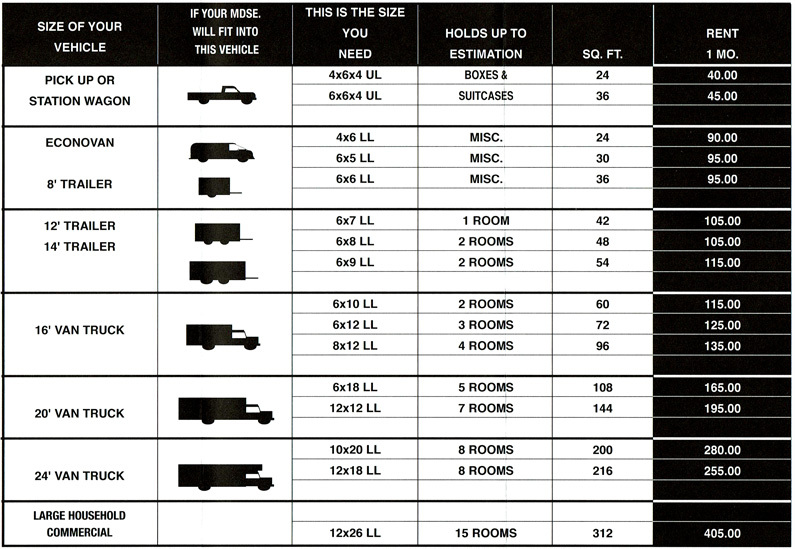 CHECK OUT OUR SPACE REQUIREMENT CHART THAT WILL HELP DETERMINE THE SIZE YOU NEED & SAVE YOU MONEY. WE HAVE 40 SIZES & 1400 SPACES IN 3 LOCATIONS. WE WILL MAIL THE FOLLOWING: BROCHURE WITH THE PRICES, SPACE REQUIREMENT CHART & ESTIMATE SHEET. LOWER LEVEL SPACES DRIVE UP TO YOUR DOOR. LESSOR WILL SEND THE STATEMENT TO THE KNOWN ADDRESS. THE OFFICE IS OPEN DURING BUSINESS HOURS 7 DAYS A WEEK. NO ADVANCE NOTICE REQUIRED WHEN YOU MOVE OUT.